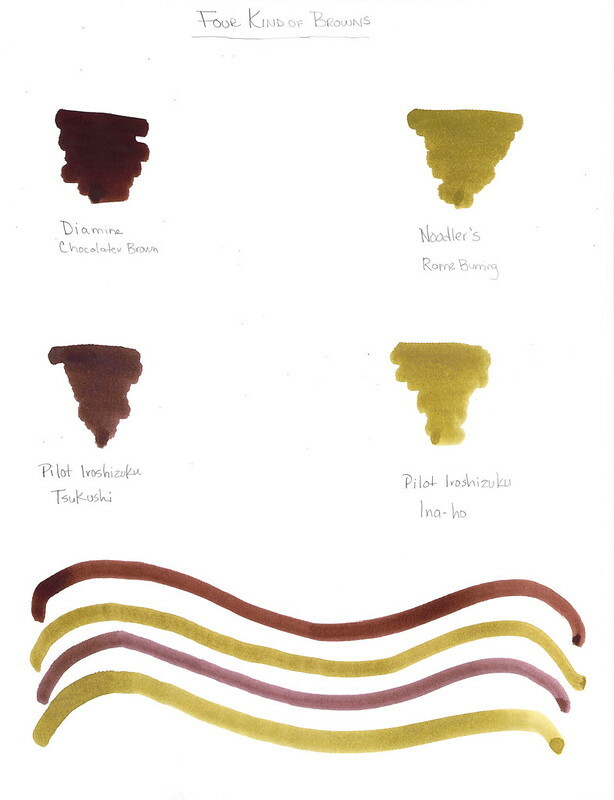 I love Diamine Chocolate Brown - the deep, rich saturation - yum. It seems to have less red in it than Private Reserve Chocolat and I like that. I usually love Pilot Iroshizuku inks, but neither of these are doing it for me. Which is your favorite from above?